Researchers tagged 14 whales with 18 tags in the Beaufort Sea during the summer program. The creative way they tagged them will be part of the discussions in upcoming community consultations. Researchers are sharing some of the results of this summer's beluga whale tagging program this summer with people living in communities in the N.W.T. 's Inuvialuit Settlement Region. The project is a collaboration between the Department of Fisheries and Oceans, fisheries joint management committee and Inuvialuit Game Council. The team tagged 14 whales with 18 tags in the Beaufort Sea during the summer program. The creative way they managed to do that work will form part of the discussions in upcoming community consultations. Lisa Loseto, with the federal fisheries department, described how they tried to come up with a less invasive approach of placing a tag during the research program. "As a side project, we were investigating different ways of doing this with a single point attachment, a harpoon attachment," Loseto said. "We were out there trying the harpoon tag that had never been tried on a beluga," she said. "There is still a long way to go with the advancement of this technology. So we brought that back to the community to say this is something we tested." 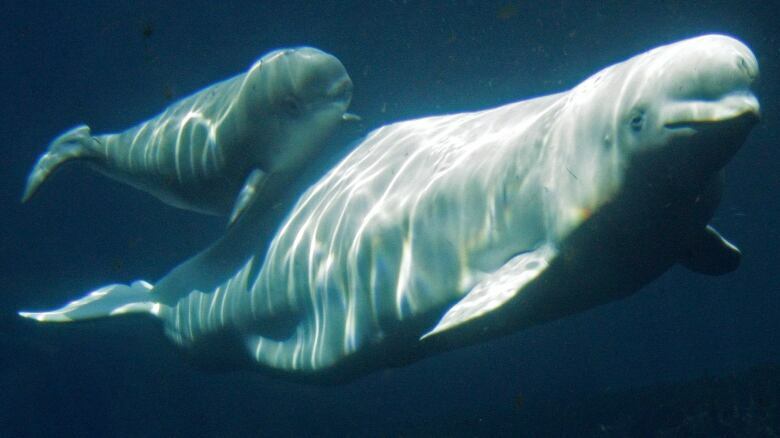 So far, there's been positive reaction particularly from some communities, including Paulatuk, N.W.T., where beluga whales travel to nearby Darnley Bay. 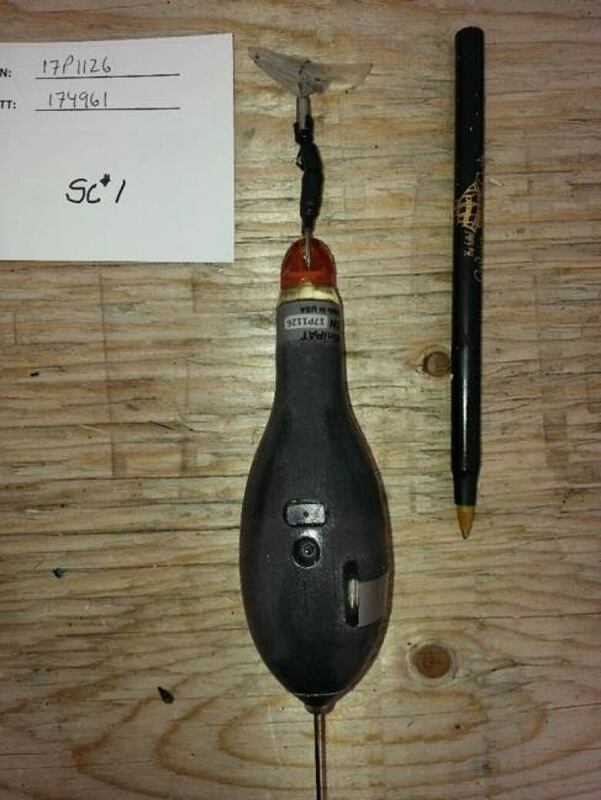 A close-up look, with a pen for scale, of the new toggle tagging system. (Submitted by Dr. Greg O’Corry-Crowe)Researchers usually tag whales out of Kugmallit Bay and Hendrickson Island because it is easier to tag whales in shallow waters, Loseto said. But the new harpoon tag can open up the possibility of tagging whales in deeper waters and the ability to gather even more information, she said. "Could this technology allow some of the outer communities to ask questions about which whales have gone here and why ... rather than all of the tagging efforts being focused out of this one region?" She asked. The team is working with the company that designs the tags to develop the technology further. Although people are now able to track where the belugas have been visiting through a Facebook page, there have been some surprises. Loseto said they saw more whales than expected travel to an area packed with ice in a location north of Banks Island. It appears that is an important feeding area for them. Next year, the tagging program will continue, with Loseto saying she hopes to tag more females — only males were tagged this year. There are also plans to do two other programs in the summer, including an aerial survey to estimate the population of beluga whales. A proposal to partner with wildlife officials from the United States to conduct aerial survey to update the population estimate of the Bering-Chukchi-Beaufort bowhead whale population is also being considered. The last aerial survey count of U.S. waters suggested the population was 17,000, and it's growing at nearly four per cent each year, according to Billy Adams, a wildlife official in Alaska. Although the U.S. does a bowhead whale count every 10 years, the researchers believe this will be the first time that Canada and Alaska will do a full-coverage aerial survey together. Jimmy Kalinek, who is with the Inuvialuit Game Council, says outcomes of the community meetings have been positive and people are receptive to the results they are hearing. "The majority of the Inuvialuit are in favor of this," he said. "It's such an important program for management, Inuvialuit and generations to come. 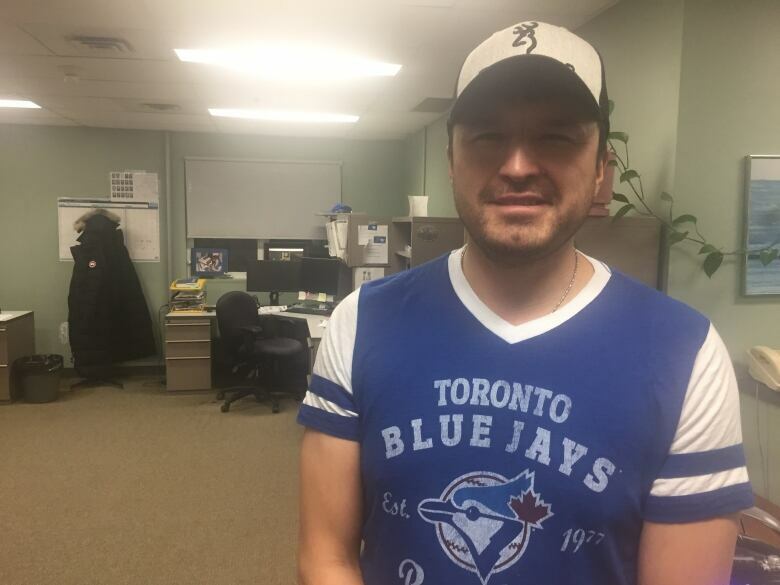 Jimmy Kalinek, with the Inuvialuit Game Council, says that the community meetings on the tagging program have been generating positive feedback from residents. (Mackenzie Scott/CBC)"We are kind of excited to see the numbers in the next couple of years, and I think it's going to be a good number." The community tour will continue to Tuktoyaktuk on Wednesday and Aklavik on Thursday.